Quilts with unique and personal design , patchwork and decoration trimmed. The used technique includes multiple applications that are made of individually edited components overlaid in one another along the contour and robustly fixed by compact needlepoint. 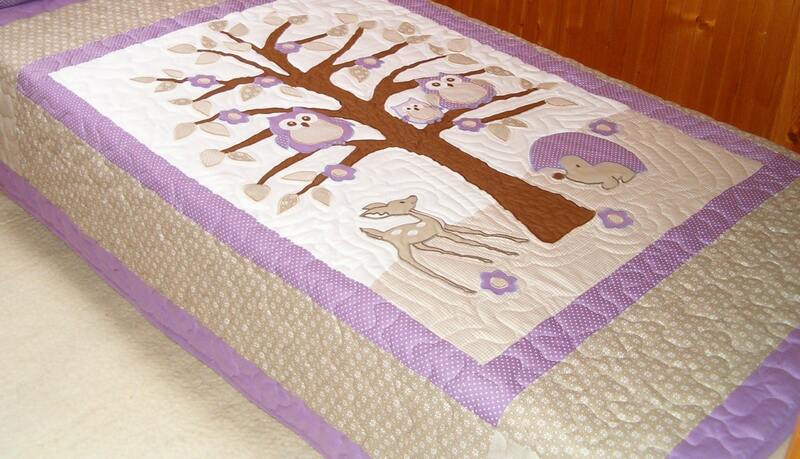 The quilt surface is finished by careful and dense machine stapling. The products are available in the following sizes: 55 x 85 inches. The top of the pillow is three-layered patchwork its surface is finished by careful and dense machine stapling applied decoration. I will send the sham If you need a cushion too, please contact me. The raw material used is guaranteed premium quality organic fabric. Dryer and vapor iron is NOT RECOMMENDED! Please if you have any questions, I am here to answer! We love custom orders! This is why we have custom listing for a standard item designs listed in our Shop. Please feel free to contact us if you have any questions. Custom order are processed after the paymant has been received! 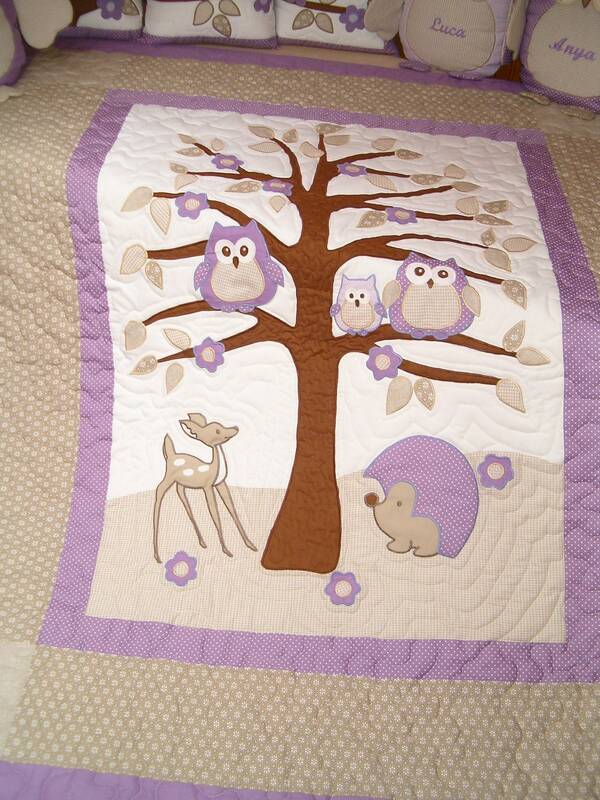 Before shipping we will email you a few pictures of the quilt/pillow... so you can see how it looks. In case you are not 100% satisfied with the item we will cange your order and make you a new item for no extra fee. Custom items are final and non refundable / returnable and we do not accept cancellations on custom orders!